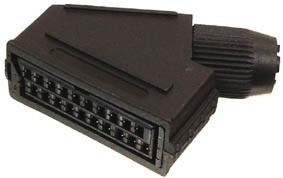 Scart Line Socket. Accepts Scart plug or Scart lead. Nickel Plated Rewirable.